Before:- Ranjan Gogoi, Prafulla C. Pant and A.M. Khanwilkar, JJ. Civil Appeal No. 6673 of 2014. D/d. 26.10.2016. For the Appellant :- In-person. For the Respondents :- C.D. Singh, Sandeepan Pathak, Mishra Saurabh, S.A. Desai, Ms. Anagha S. Desai, Advocates. A.M. Khanwilkar, J. - This appeal has been placed before a three Judges' Bench in terms of order dated August 25, 2015, consequent to the difference of opinion between the two learned Judges of the Division Bench. (Registration) and the Inspector General (Registration) was rightly dismissed by the High Court. However, His Lordship opined that a question would still arise for consideration, namely, whether in absence of any specific Rule in the State of Madhya Pradesh, the general principle laid down in the case of Thota Ganga Laxmi & Anr. v. Government of Andhra Pradesh & Ors., 2011(4) R.C.R. (Civil) 78 : 2011(4) Recent Apex Judgments (R.A.J.) 417 : (2010)15 SCC 207 would be applicable? 3. Justice V.Gopala Gowda on the other hand allowed the appeal on the finding that the Sub-Registrar (Registration) had no authority to register the Extinguishment Deed presented by the respondent-Society dated 9th August 2001 and his action of registration of that document was void ab initio. For the same reason, the subsequent deeds in respect of the property in question registered by the Sub-Registrar dated 21st April, 2004 and 11th July 2006 were also without authority and void ab initio. His Lordship held that, the High Court should have declared the above position and set aside registration of the subject documents and also the orders passed by the Sub-Registrar (Registration) and Inspector General (Registration). His Lordship allowed the appeal filed by the appellant with compensation amount to be paid by the respondents quantified at L 10 Lakh. 4. Briefly stated, Plot No.7-B at Punjabi Bagh, Raisen Road, Bhopal was allotted to the appellant's mother Smt. Veeravali Anand by Punjabi Housing Cooperative Society Ltd. (hereinafter referred to as the "Society"), vide a registered deed dated 22nd March 1962. Smt. Veeravali Anand expired on 12th June 1988. After her death, the Society through its Office Bearer executed a Deed of Extinguishment on 9th August 2001, unilaterally, cancelling the said allotment of plot to Smt. Veeravali Anand because of violation of the Bye-laws of the Society in not raising any construction on the plot so allotted within time. On the basis of the said Extinguishment Deed, the Society executed and got registered a deed dated 21st April, 2004 in favour of Mrs. Manjit Kaur (Respondent No.5) in respect of the same plot. The appellant objected to the said transaction. However, a compromise deed was executed between the Society and Mrs. Manjit Kaur (Respondent No.5) on the one hand and the appellant on the other hand - where under the appellant received consideration of L 6.50 Lakh (Rupees Six Lakh Fifty Thousand) - L 4.50 Lakh (Rupees Four Lakh Fifty Thousand) by a demand draft and L 2/- Lakh by a post-dated cheque). Notwithstanding the compromise deed, the appellant filed a dispute under Section 64 of the Madhya Pradesh Cooperative Societies Act, 1960 (hereinafter referred to as the "Act of 1960"), before the Deputy Registrar, Cooperative Societies bearing Dispute No. 81 of 2005. The appellant challenged the Society's action of unilaterally registering the Extinguishment Deed dated 9th August 2001 and allotting the subject plot to Mrs Manjit Kaur vide deed dated 21st April, 2004; and prayed for a declaration that he continues to be the owner of the subject plot allotted by the Society to his mother, having inherited the same. In the said dispute, the appellant filed interim applications praying for restraint order and for appointment of a Receiver. It is not necessary to dilate on those facts to consider the issues on hand. Suffice it to note that the said dispute is still pending adjudication. 5. During the pendency of the said dispute, the Society permitted transfer of the subject plot in favour of Mrs. Meenakshi and Mr. S.C. Sharma (Respondent Nos. 6 & 7) vide registered Deed dated 11th July 2006. Since the appellant was perseverating the dispute and resorting to multiple proceedings in relation to the subject plot, the respondents issued a notice on 12th July 2007 asking the appellant to refund the consideration amount accepted by him in furtherance of the compromise deed dated 6th July 2004. The appellant did not pay any heed to that demand and instead continued with the multiple proceedings resorted to by him before the Authority under the Act of 1960, including criminal proceedings. The appellant also moved an application before the Sub-Registrar (Registration) calling upon him to cancel the registration of Extinguishment Deed dated 9th August 2001 and the subsequent two deeds dated 21st April 2004 and 11th July 2006 respectively. This application was filed on 4th February 2008 by the appellant. The Sub-Registrar (Registration) by a speaking order rejected the said application on 28th June 2008 mainly on two counts. Firstly, a dispute was pending between the parties with regard to the same subject matter. Secondly, he had no jurisdiction to cancel the registration of a registered document in question. For, his jurisdiction was limited to registration of the document when presented by the executant before him for that purpose. The appellant then approached the Inspector General (Registration) by way of an application under Section 69 of the Registration Act, 1908 (hereinafter referred to as the "Act of 1908"). The Inspector General (Registration) vide order dated 19th September 2008 rejected the said application on the ground that powers conferred on him were limited to the general superintendence of the Registration Offices and making Rules. "15. In view of aforesaid discussion we are of the view that after registration of the extinguished deed or other documents by the Sub-Registrar, if any application is moved by any of the affected party of such document stating that the same was not registered by practicing the fraud with his right then Sub-Registrar in the lack of any specific provision in this regard could neither entertain nor adjudicate such application under the provisions of Section 17, 18 or 69 or some other provisions of the Act. Section 69 of the Act only confers the superintending power of registration offices and to make rules to the Inspector General respondent No.2. It does not give any rights to cancel the earlier registered documents or modifying any entries in the index or in other record at the instance of any of party. So, Section 17(1)(b) read with 69 of the Act is also not helping to the petitioner in this writ petition. Consequently, it is held that Sub-Registrar as well as Inspector General have not committed any fault in dismissing the application of the petitioner with direction to approach the competent forum for adjudication of his dispute. 16. Apart the above the alleged dispute and allegations of the alleged fraud could not be adjudicated by this Court under the writ jurisdiction. The same could be adjudicated by the Civil Court under the common law after recording the evidence of the parties and on appreciation of the same in a duly constituted suit." The High Court then adverted to the decision in the case of Government of U.P. v. Raja Mohammad Amir Ahmad Khan, AIR 1961 SC 787. It held that since the Registering Officer registered the document presented to him for registration, his function is exhausted. He would then become functus officio and no power to impound the document under Section 33 of the Act. This decision of the High Court is the subject matter of challenge in the present appeal. 7. When this appeal came up for hearing before the Division Bench of the two learned Judges, as aforesaid, His Lordship Justice Dipak Misra found that the High Court did not commit any error in dismissing the Writ Petition filed by the appellant. His Lordship, however, adverted to all the relevant provisions of the Act of 1908 and also analysed the decision of the Full Bench of the Andhra Pradesh High Court in Malleshwari's case (supra) and also of the Madras High Court in Kalaivan (supra) and of the Karnataka High Court in M.R.Reddy (supra). Finally, His Lordship considered the decision of this Court in Thota Ganga Laxmi (supra) and noted two aspects. That, in that case, the Court had opined that a unilateral cancellation deed cannot be registered with reference to Rule 2(k)(i) of the Rules framed by the State of Andhra Pradesh under Section 69 of the Act of 1908. His Lordship was of the view that the dictum of the Court in Thota Ganga Laxmi (supra) must be considered in the context of a specific Rule framed by the State of Andhra Pradesh, which had come into force after the pronouncement by the Full Bench in the case of Malleshwari (supra). His Lordship then observed that the principle stated in the case of Thota Ganga Laxmi (supra) cannot be made applicable to the case on hand in absence of a specific Rule in that regard in the State of Madhya Pradesh. Further, on a careful reading of the provisions of the Act of 1908, there is no prohibition to register a document of cancellation of a deed of extinguishment; and that the procedure under Section 35 of that Act cannot be construed to confer a quasi judicial power on the Registering Authority. His Lordship also referred to the decision of the Madras High Court in Park View Enterprises v. State of Tamil Nadu, AIR 1990 Madras 251 wherein it has been observed that the function of the Sub-Registrar for the purposes of registration is purely administrative and not quasi-judicial. He cannot decide whether a document which is executed by a person has had title as is recited in the given instrument. His Lordship found it difficult to agree with the general principle stated in the case of Thota Ganga Laxmi (supra) that the Registering Authority cannot register a unilateral deed of cancellation or extinguishment, in absence of any specific Rule in that behalf. Therefore, His Lordship opined that the general observation in that case required reconsideration by a larger Bench. Having said this, His Lordship also noted that the validity of the action taken by the Society in execution of the extinguishment deed dated 9th August 2001, cancelling the deed in favour of the appellant's mother dated 22nd March 1962 was the subject matter of a dispute filed by the appellant wherein all relevant issues could be answered appropriately. For, that Authority is competent to consider the validity of action of the Society to unilaterally cancel the allotment of the plot made in favour of the appellant's mother. His Lordship also adverted to the other proceedings between the parties including the order passed by this Court in SLP (Civil) No. 13255/2012 dated July 12, 2013, taking note of the Inspection Reports submitted by the Sub-Registrar dated 13th March 2007 mentioning that two duplex were constructed and two more were near completion standing on the subject plot on the date of inspection. His Lordship also adverted to the factum of compromise deed entered by the appellant with the respondents and having received consideration in that behalf from the subsequent purchaser and yet the appellant was pursuing remedy before the Sub-Registrar for cancellation of the Extinguishment Deed. 8. His Lordship Justice V.Gopala Gowda, however, formulated a question in para 12 of the judgment as to whether the appellant was entitled to seek relief of cancellation of the registered documents dated 9th August 2001, 21st April 2004 and 11th July 2006, registered in respect of the immovable property in question. His Lordship, inter-alia, following the exposition in Thota Ganga Laxmi (supra) found that the Registrar could not have permitted registration of Extinguishment Deed dated 9th August 2001, unilaterally cancelling the allotment of the subject plot made to the appellant's mother. His Lordship held that the Extinguishment Deed was a nullity, in law. His Lordship then considered the dictum in Kalaivan's case of the Madras High Court and opined that it aptly applied to the facts of the present case and held that as the Extinguishment Deed was unilaterally registered it ought to be rescinded. His Lordship proceeded to examine the issue in the light of Section 62 of the Indian Contract Act, 1872. It provides that if the parties to a contract agree to substitute a new contract for it, or to rescind or alter, the original contract need not be performed. Thus, for any novation, rescission and alteration of the contract, it can be made only bilaterally and with amicable consent of both the parties. His Lordship then adverted to the scope of Clause 43(1) of the Bye-laws of the Society as amended in the year 1991 and opined that the said Clause can have no retrospective effect for cancellation of the allotment of the plot in the name of appellant's mother vide Extinguishment Deed dated 9th August 2001. The latter is only a subterfuge. Reference is then made to Section 31 of the Specific Relief Act, 1963 to hold that unilateral cancellation of the deed would be in violation of the said provision read with Article 59 of the Limitation Act, 1963, which requires cancellation of any instrument within 3 years. In the present case, the deed in favour of the appellant's mother was executed on 22nd March 1962 and registered on 30th March 1962 concerning the subject plot; and for which reason extinguishment of the said deed after lapse of 39 years was impermissible in law. On this finding, it has been held that the Sub-Registrar had no authority under the Act of 1908 nor by virtue of Section 31 of the Specific Relief Act, 1963 read with Article 59 of the Limitation Act, 1963 to unilaterally cancel the said deed; and consequently, registration of the Extinguishment Deed by the Sub-Registrar amounts to playing fraud on the power vested in the Authority under law. Exercise of power of registering a document by the Sub-Registrar, in the present case, was ultra vires the relevant provisions and the Constitution of India. Reference is then made to the decision of the Constitution Bench of this Court in Pratap Singh v. State of Punjab, AIR 1964 SC 72 to hold that the respondent-Society had no authority to re-allot the subject plot to respondent No.5 by cancelling the registered deed which has become absolute and been acted upon by the parties. As a consequence of this conclusion, His Lordship held that the deed executed in favour of respondent No.5 or for that matter respondent Nos.6 and 7 was also void ab initio; and also because respondent No.5 could not be allotted the subject plot as her husband was already allotted another plot by the same Society. His Lordship then went on to observe that the appellant has got a valid Constitutional right over the said plot of land as guaranteed under Article 300A of the Constitution of India and could not be deprived of that property without authority of law. His Lordship was of the view that merely because the Extinguishment Deed could be challenged by approaching the Civil Court cannot denude the appellant of the relief, as sought in the Writ Petition, qua the Extinguishment Deed dated 9th August 2001 which was void ab initio; and for the same reason order could be passed against respondent No.5 to 7 - as the deeds in their favour rested on the Extinguishment Deed. For that, His Lordship adverted to the dictum in the case of Arunachalam v. P.S.R.Sadhanantham & Anr., (1979) 2 SCC 297 and Ganga Kumar Shrivastav v. State of Bihar, 2005(3) R.C.R. (Criminal) 707 : (2005) 6 SCC 211. Further, having noticed that the septuagenarian appellant had been litigating for last  14 years because of the untenable action of the Society and also of the Sub-Registrar, affecting his valuable Constitutional right under Article 300A of the Constitution of India, His Lordship was of the opinion that the relief claimed by him in the Writ Petition deserved to be granted. As regards the observation made by this Court dismissing the Special Leave Petition No.13255/2012 vide order dated 17th July 2013, His Lordship held that the same will be of no avail much less to denude the appellant of the reliefs due to him. His Lordship then held that the compromise executed by the appellant on 6th July 2004 also cannot denude the appellant of the relief - because it is an admitted position that the respondent No.5 through Advocate had sent a legal notice dated 12th July 2007 to rescind the said agreement and called upon the appellant to refund the amount of L 6.50 Lakh received by him with interest. His Lordship also adverted to the decisions of this Court in CAG v. K.S. Jagannathan, (1986) 2 SCC 679; Andi Mukta Sadguru Shree Muktajee Vandas Swami Suvarna Jayanti Mahotsav Smarak Trust v. V.R. Rudani, (1989) 2 SCC 691 and Hari Vishnu Kamath v. Ahmad Ishaque, AIR 1955 SC 233 to hold that the High Court failed to exercise its discretionary power which has resulted in grave miscarriage of justice and entailing in denial of the valuable right guaranteed under Article 300A of the Constitution of India to the appellant. Accordingly, His Lordship held that the impugned judgment of the Division Bench of the High Court as well as the impugned instruments i.e. Extinguishment Deed dated 9th August 2001 and the subsequent deeds dated 21st April, 2004 and 11th July 2006 respectively, are quashed and set aside. Further direction is given to respondent Nos. 6 and 7 to vacate the subject property and hand over possession thereof to the appellant forthwith. His Lordship was of the view that the appellant was entitled to further relief of compensation amount of L 10,00,000/- (Rupees Ten Lakhs) to be paid to the appellant for his suffering and the injustice caused to him by the respondents for the last 14 years. 9. The appellant appeared in person. He adopted the view taken by His Lordship Justice V. Gopala Gowda as his argument. He placed reliance on the decisions noted herein above and adverted to in the two separate judgments given by Their Lordships. In substance, his argument was that the respondent-Society could not have unilaterally executed the Extinguishment Deed dated 9th August 2001 in relation to the subject plot. That action of the respondent-Society was in violation of the governing laws and void ab initio. Further, the Sub-Registrar had no authority to register such a document and in any case unilaterally. Hence, the act of registration of Extinguishment Deed was also void ab initio. As a consequence, the Society had no authority, in law, to execute the subsequent deed in favour of respondent No.5 or to put her in possession of the subject plot and the respondent No.5 in turn could not have executed the deed in favour of respondent Nos. 6 and 7. In other words, the deeds executed between the respondent No. 4 - Society and respondent No. 5 and also respondent Nos. 6 and 7 were void ab initio. That declaration must follow and the High Court was duty bound to allow the Writ Petition filed by him, as the action of the respondent No.4-Society was replete with fraud on the Statute and also on the Constitutional right guaranteed to the appellant. In all fairness to the appellant, it must be mentioned that he has additionally relied on Suo Motu Proceedings against R. Karuppan, Advocate, 2001(2) S.C.T. 1097 : (2001) 5 SCC 289 R.S.Maddanappa (D) by LRs. v. Chandramma & Anr., AIR 1965 SC 1812 Rattan Chand Hira Chand v. Askar Nawaj Jung (D) by Lrs. & Ors., (1991) 3 SCC 67 Central Inland Water Transport Corporation Ltd. & Anr. v. Brojo Nath Ganguly & Anr., AIR 1986 SC 1571 Indian Council for Enviro-Legal Action v. Union of India & Ors., 2011(3) R.C.R. (Civil) 779 : 2011(4) Recent Apex Judgments (R.A.J.) 202 : (2011) 8 SCC 161 Trishala Jain & Anr. v. State of Uttaranchal & Anr., 2011(2) R.C.R. (Civil) 947 : 2011(3) Recent Apex Judgments (R.A.J.) 170 : (2011) 6 SCC 47 Hamza Haji v. State of Kerala & Anr., (2006) 7 SCC 416 and S.P.Chengalvaraya Naidu (D) By LRs. v. Jagannath (D) by Lrs. & Ors., AIR 1994 SC 853 during the arguments. Besides the oral arguments, the appellant has filed written submissions on 11th July 2016 and additional written submissions on 12th August 2016 which make reference to several reported cases. The decisions referred to in the written submissions are essentially multiplying the cases on the contention already answered in favour of the appellant by His Lordship Justice V.Gopala Gowda. 10. The respondents, on the other hand, contend that the Writ Petition has been justly rejected by the High Court on the ground that the appellant was pursuing remedy for the same reliefs in substantive proceedings by way of a dispute filed under Section 64 of the Act of 1960 before the competent Forum. Besides the said proceedings, it was open to the appellant to take recourse to other appropriate remedy before the Civil Court, to the extent necessary. The High Court in exercise of powers under Article 226 of the Constitution of India not only exercises an equitable jurisdiction but also an extraordinary jurisdiction. The High Court in any case is not expected to enter upon the plea of declaring agreements and documents executed between private parties as illegal or for that matter void ab initio, which remedy is available before the cooperative Forum or the Civil Court. It was contended that if this contention is accepted, it may not be necessary to answer the other issue noted in the judgment of Justice Dipak Misra as the same can be considered in an appropriate proceedings, if and when the occasion arises. Alternatively, it was contended that the dictum of this Court in Thota Ganga Laxmi's case (supra) must be understood as applicable to the express procedure prescribed for registration of an Extinguishment Deed or cancellation deed in the State of Andhra Pradesh in terms of statutory Rules. Inasmuch as, in absence of any express provision about the procedure for registration of such document, that requirement cannot be considered as mandatory. For, it is not possible to hold that no Extinguishment or cancellation deed can ever be executed by the party to the earlier concluded contract, considering the express provision in that behalf in Section 17(1)(b) of the Act of 1908 read with other enabling provisions in the same Act or other substantive law. According to the respondents, the questions posed in the judgment of Justice V. Gopala Gowda would be relevant and can be conveniently answered in the substantive proceedings already resorted to by the appellant, by way of a dispute under Section 64 of the Act of 1960. The answer to the said questions may require adjudication of disputed facts and also application of settled legal position. It is not a pure question of law. Being disputed question of facts, the High Court was right in refusing to interfere and exercise its writ jurisdiction. 11. The counsel for the State in particular submitted that the legal position is well-settled. That, the Sub-Registrar is not expected to decide the title or rights of the parties to the agreement nor is expected to examine the document to ascertain whether the same is legal and permissible in law or undertake an analytical analysis thereof. If the document registered by the Sub-Registrar is illegal or there is any irregularity, that must be challenged by invoking an appropriate proceedings before a Court of competent jurisdiction. If any cause of action accrues to a member of the Society, in relation to the business of the Society, can be pursued before the cooperative Forum. The appellant has already invoked such remedy. 12. The respondent Nos. 6 and 7 additionally submit that they are purchasers of the subject plot for consideration. They have acted to their detriment in good faith by going ahead with the construction on the plot with the permission of the Society and after obtaining approvals from the Municipal Authorities. They have spent their fortune in doing so. Besides supporting the stand taken by the other respondents, they submit that in the fact situation of the present case no relief in equity is warranted in favour of the appellant. Thus, the Writ Petition filed by the appellant has been justly dismissed with liberty to pursue appropriate remedy. "(a) Whether in the fact situation of the present case, the High Court was justified in dismissing the Writ Petition? (b) Whether the High Court in exercise of writ jurisdiction under Article 226 of the Constitution of India is duty bound to declare the registered Deeds (between the private parties) as void ab initio and to cancel the same, especially when the aggrieved party (appellant) has already resorted to an alternative efficacious remedy under Section 64 of the Act of 1960 before the competent Forum whilst questioning the action of the Society in cancelling the allotment of the subject plot in favour of the original allottee and unilateral execution of an Extinguishment Deed for that purpose? (c) Even if the High Court is endowed with a wide power including to examine the validity of the registered Extinguishment Deed and the subsequent registered deeds, should it foreclose the issues which involve disputed questions of fact and germane for adjudication by the competent Forum under the Act of 1960? (d) Whether the Sub-Registrar (Registration) has authority to cancel the registration of any document including an Extinguishment Deed after it is registered? Similarly, whether the Inspector General (Registration) can cancel the registration of Extinguishment Deed in exercise of powers under Section 69 of the Act of 1908? (e) Whether the Sub-Registrar (Registration) had no authority to register the Extinguishment Deed dated 9th August 2001, unilaterally presented by the Respondent Society for registration? (f) Whether the dictum in the case of Thota Ganga Laxmi (supra) is with reference to the express statutory Rule framed by the State of Andhra Pradesh or is a general proposition of law applicable even to the State of Madhya Pradesh, in absence of an express provision in that regard?" 14. The answer to the first three questions will have to be given in the backdrop of the factual matrix of the present case. Indisputably, the appellant entered into a compromise deed and accepted the consideration amount of L 6.50 Lakh. Despite that, he chose to file a dispute under Section 64 of the Act of 1960 before the Deputy Registrar, Cooperative Societies challenging the action of the Society in unilaterally executing and causing registration of the subject Extinguishment Deed dated 9th August 2001 and also the allotment of the subject plot to third party. Pending that dispute, he filed an application before the Sub-Registrar (Registration) for the same relief of cancellation of registration of the Extinguishment Deed and the subsequent deeds in favour of third parties. In addition, the appellant resorted to criminal complaint with reference to the same Extinguishment Deed and the subsequent deeds in favour of third parties. In this backdrop, the High Court declined to entertain the Writ Petition filed by the appellant, which was essentially to challenge the same Extinguishment Deed and subsequent deeds. It is a well established position that the remedy of Writ under Article 226 of the Constitution of India is extra-ordinary and discretionary. In exercise of writ jurisdiction, the High Court cannot be oblivious to the conduct of the party invoking that remedy. The fact that the party may have several remedies for the same cause of action, he must elect his remedy and cannot be permitted to indulge in multiplicity of actions. The exercise of discretion to issue a writ is a matter of granting equitable relief. It is a remedy in equity. In the present case, the High Court declined to interfere at the instance of the appellant having noticed the above clinching facts. No fault can be found with the approach of the High Court in refusing to exercise its writ jurisdiction because of the conduct of the appellant in pursuing multiple proceedings for the same relief and also because the appellant had an alternative and efficacious statutory remedy to which he has already resorted to. This view of the High Court has found favour with Justice Dipak Misra. We respectfully agree with that view. 15. The other view of Justice V. Gopala Gowda, however, is that it was the duty of the High Court to answer the matters in issue because of the unilateral registration of the Extinguishment Deed by the Society without authority and a nullity. Ordinarily, if the party had not resorted to any other remedy provided by law and had straightway approached the High Court to question the action of the statutory Authority of registering a document improperly and in particular in disregard of the prescribed procedure, that would stand on a different footing. In the present case, however, the appellant not only entered into a compromise deed with the Society and the subsequent purchaser but also resorted to statutory remedy. Having entered into a compromise deed, it is doubtful whether the appellant can be heard to complain about the irregularity in the registration of the Extinguishment Deed, if any. It is noticed that the appellant has not disputed the execution of the compromise deed, nor has he paid any heed to the notice given by the other party to refund the amount accepted by him in furtherance of the compromise deed. No Court can be party to a speculative litigation much less the High Court in exercise of writ jurisdiction. Having said this it must necessarily follow that the Writ Petition filed by the appellant deserved to be dismissed, as was rightly dismissed by the High Court. 16. As the Writ Petition is liable to be dismissed with liberty to the appellant to pursue other statutory remedy already invoked by him, examining any other contention at his instance would be awarding premium to a litigant who does not deserve such indulgence. The fact whether the compromise deed entered into by the appellant was voluntary and at his own volition or under duress, is essentially a question of fact. That cannot be adjudicated in writ jurisdiction. Depending on the answer thereto, the other issues may become relevant and would arise for consideration. The only relief that can be granted and which has already been clarified by the High Court in the impugned judgment, is to keep all questions open to enable the appellant to pursue the statutory remedy already invoked by him. It is open to the appellant to contend in those proceedings that the Extinguishment Deed could not have been unilaterally executed by the Society. That plea can be examined by the statutory Forum provided for that purpose. The decision of the Society to cancel the allotment of a plot to its member or to rescind his membership and to allot the plot to another member, is undoubtedly the business of the Society. Any cause of action in that behalf, indeed, can be pursued before the Competent Forum by the aggrieved member or his legal representative. That will require examination of the governing cooperative laws and the Bye-laws of the Society - to ascertain whether it is open to the Society to cancel the allotment of a plot to its members including to cancel the membership of such person. If that action of the Society is held to be just and permissible in law, the appellant may not be entitled to any other relief much less the declaration as sought. Further, remedy of writ cannot be used for declaration of private rights of the parties or enforcement of their contractual rights and obligations. In our considered opinion, it would be unnecessary if not inappropriate to examine any other contention at the instance of this appellant as we agree with the view taken by the High Court in summarily dismissing the Writ Petition with liberty to the appellant to pursue statutory remedy. At best, further observation or clarification would suffice to the effect that the competent Forum before whom the dispute has been filed by the appellant shall consider all contentions available to the parties, uninfluenced by the factum of registered Extinguishment Deed. In that, if the competent Forum was to hold that it was open to the Society to cancel the allotment and membership of the concerned member and thereafter to allot the same plot to another person enrolled as a member of the society, no other issue would arise for consideration. On the other hand, if the competent Forum was to answer the relevant fact in favour of the appellant, only then the argument of the effect of unilateral registration of the Extinguishment Deed followed by compromise deed voluntarily executed by the appellant may become available to the Society and to the subsequent purchasers/allottees of the subject plot. At their instance, those issues can be examined on the basis of settled legal position. Neither the observation or the opinion recorded by one of the dissenting Judge of this Court need any further dissection nor would it be appropriate to enlarge the scope of the proceedings before this Court on those aspects. This would subserve the twin requirements. Firstly, to avoid an exposition on matters and questions which do not arise for our consideration in the fact situation of the present case at this stage; and secondly, also provide an opportunity to the parties to pursue all contentions and other remedies as may be permissible in law. 17. The exposition of the Constitution Bench of this Court in Pratap Singh (supra) adverted to in the dissenting opinion would be attracted in cases where the State Authority acts in bad faith or corrupt motives. Merely because some irregularity has been committed in registration of Extinguishment Deed unilaterally presented by the Society for registration or in respect of the subsequent deeds registered at the instance of third party without notice to the appellant, that, by itself, will not result in registration of those documents due to corrupt motives of the State Authority. Moreso, in the present case, the appellant having entered into a compromise deed with the Society and third party (subsequent allottees) in respect of the subject plot, it is doubtful whether it is open to the appellant to question the act of unilateral execution and registration of the stated Extinguishment Deed being irregular much less void and nullity. Indisputably, the respondents-Society is a Cooperative Housing Society Limited and is governed by its Bye-Laws. According to the counsel for the Society, the member is obliged to erect a house on the plot allotted to him within specified time, failing which must suffer the consequence including of cancellation of allotment of plot and removal of his membership. At the time of allotment, the member executes an agreement where under he/she undertakes to abide by the conditions specified for erecting a house on the plot allotted to him/her in the manner prescribed therein. Whether the Society is justified in proceeding against the defaulting member by cancelling the allotment of plot as well as membership, is an issue falling within the purview of the business of the Society. The member is bound by the stipulation contained in the agreement executed by him/her and in particular the Bye-laws of the Society. Any action by the Society for breach thereof is just or otherwise can be questioned before the statutory Forum under the Act of 1960. Those are matters which can and must be answered in the proceedings resorted to by the appellant before the statutory Forum. 18. The aforementioned reported decision has noted the subtle distinction between ultra vires act of the Statutory Authority and a case of a simple infraction of the procedural Rule. The question, whether the Society was competent to unilaterally cancel the allotment of a plot given to its member and to cancel the membership of such member due to default committed by the member, is within the purview of the business of the Society. Any cause of action in that regard must be adjudicated by the procedure prescribed in that behalf. It is not open to presume that the Society had no authority in law to take a decision in that behalf. The right of the appellant qua the plot of land would obviously be subject to the final outcome of such action. The appellant being the legal representative of the original allottee, cannot claim any right higher than that of his predecessor qua the Housing Society, which is the final authority to decide on the issue of continuation of membership of its member. The right of the member to remain in occupation of the plot allotted by the Society would be entirely dependent on that decision. 19. Reference made to the other decisions of this Court with regard to the scope of Article 136 of the Constitution of India in the case of Arunachalam v. P.S.R. Sadhanantham and Anr. and Ganga K. Shrivastav v. State of Bihar (supra) will be of no avail in the fact situation of the present case. Similarly, The other decisions adverted to in the dissenting opinion under consideration in the case of CAG v. K.S. Jagannathan and Andi Mukta Sadguru Shree Muktajee Vandas Swami Suvarna Jayanti Mahotsav Smarak Trust v. V.R. Rudani (supra), Hari Vishnu Mamath (supra) will be of no avail in the fact situation of the present case. Suffice it to observe that the High Court had, in our opinion, justly, summarily dismissed the writ petition with liberty to the appellant to pursue statutory remedy under the provisions of the Act of 1960 or by way of a civil suit. Thus understood, it may not be necessary or appropriate to dwelve upon the other issues regarding the merits of the controversy which may have to be adjudicated by the competent Forum. 20. It is common ground that the deed regarding allotment of plot to a member of the Society required registration. The allotment of the subject plot in favour of the appellant's mother was accordingly, registered in the office of the Sub-Registrar (Registration). The subject plot was allotted to the appellant's mother consequent to her admission as a member of the Society. As the allotment of the plot by the Society creates and transfers rights in an immovable property, the deed of allotment was required to be registered. But if the member failed to comply with the stipulation of allotment, it would be open to the Society to cancel such allotment and including the membership of that member. In that event, it may become necessary for the Society to execute an Extinguishment Deed qua such allotment deed operating in favour of the concerned member. For, mere cancellation of membership may not be enough. The Society could extinguish the right, title or interest in the immoveable property belonging to the Housing Society, by executing an Extinguishment Deed for that purpose. 21. The role of the Sub-Registrar (Registration) stands discharged, once the document is registered (see Raja Mohammad Amir Ahmad Khan (supra). Section 17 of the Act of 1908 deals with documents which require compulsory registration. Extinguishment Deed is one such document referred to in Section 17(1)(b). Section 18 of the same Act deals with documents, registration whereof is optional. Section 20 of the Act deals with documents containing interlineations, blanks, erasures or alterations. Section 21 provides for description of property and maps or plans and Section 22 deals with the description of houses and land by reference to Government maps and surveys. There is no express provision in the Act of 1908 which empowers the Registrar to recall such registration. The fact whether the document was properly presented for registration cannot be reopened by the Registrar after its registration. The power to cancel the registration is a substantive matter. In absence of any express provision in that behalf, it is not open to assume that the Sub-Registrar (Registration) would be competent to cancel the registration of the documents in question. Similarly, the power of the Inspector General is limited to do superintendence of registration offices and make rules in that behalf. Even the Inspector General has no power to cancel the registration of any document which has already been registered. 23. If the document is required to be compulsorily registered, but while doing so some irregularity creeps in, that, by itself, cannot result in a fraudulent action of the State Authority. Non-presence of the other party to the Extinguishment Deed presented by the Society before the Registering Officer by no standard can be said to be a fraudulent action per se. The fact whether that was done deceitly to cause loss and harm to the other party to the Deed, is a question of fact which must be pleaded and proved by the party making such allegation. That fact cannot be presumed. Suffice it to observe that since the provisions in the Act of 1908 enables the Registering Officer to register the documents presented for registration by one party and execution thereof to be admitted or denied by the other party thereafter, it is unfathomable as to how the registration of the document by following procedure specified in the Act of 1908 can be said to be fraudulent. As aforementioned, some irregularity in the procedure committed during the registration process would not lead to a fraudulent execution and registration of the document, but a case of mere irregularity. In either case, the party aggrieved by such registration of document is free to challenge its validity before the Civil Court. PROVIDED that, if owing to urgent necessity or unavoidable accident all such persons do not so appear, the Registrar, in cases where the delay in appearing does not exceed four months, may direct that on payment of a fine not exceeding ten times the amount of the proper registration fee, in addition to the fine, if any, payable under section 25, the document may be registered. (2) Appearances under sub-section (l) may be simultaneous or at different times. (c) in the case of any person appearing as a representative, assignee or agent, satisfy himself of the right of such person so to appear. (4) Any application for a direction under the proviso to sub-section (1) may be lodged with a Sub-Registrar, who shall forthwith forward it to the Registrar to whom he is subordinate. (5) Nothing in this section applies to copies of decrees or orders." the registering officer shall register the document as directed in sections 58 to 61, inclusive. (2) The registering officer may, in order to satisfy himself that the persons appearing before him are the persons they represent themselves to be, or for any other purpose contemplated by this Act, examine any one present in his office. 28[PROVIDED FURTHER that the State Government may, by notification in the Official Gazette, declare that any Sub-Registrar named in the notification shall, in respect of documents the execution of which is denied, be deemed to be a Registrar for the purposes of this sub-section and of Part XII.]" "36. Procedure where appearance of executant or witness is desired.-If any person presenting any document for registration or claiming under any document, which is capable of being so presented, desires the appearance of any person whose presence or testimony is necessary for the registration of such document, the registering officer may, in his discretion, call upon such officer or court as the State Government directs in this behalf to issue a summons requiring him to appear at the registration-office, either in person or by duly authorised agent, as in the summons may be mentioned, and at a time named therein." 25. The Andhra Pradesh High Court, in the case of Yanala Malleshwari (supra) was called upon to consider whether a person can nullify the sale by executing and registering a cancellation deed and whether the Registering Officer like District Registrar and/or Sub-Registrar appointed by the State Government is bound to refuse registration when a cancellation deed is presented. The fact remains that if the stipulation contained in Sections 17 and 18 of the Act of 1908 are fulfilled, the Registering Officer is bound to register the document. The Registering Officer can refuse to register a document only in situations mentioned in Sections such as 19 to 22, 32 and 35. At the same time, once the document is registered, it is not open to the Registering Officer to cancel that registration even if his attention is invited to some irregularity committed during the registration of the document. The aggrieved party can challenge the registration and validity of the document before the Civil Court. The majority view of the Full Bench was that if a person is aggrieved by the Extinguishment Deed or its registration, his remedy is to seek appropriate relief in the Civil Court and a Writ Petition is not the proper remedy. 26. Section 35 of the Act does not confer a quasi-judicial power on the Registering Authority. The Registering Officer is expected to reassure that the document to be registered is accompanied by supporting documents. He is not expected to evaluate the title or irregularity in the document as such. The examination to be done by him is incidental, to ascertain that there is no violation of provisions of the Act of 1908. In the case of Park View Enterprises (supra) it has been observed that the function of the Registering Officer is purely administrative and not quasi-judicial. He cannot decide as to whether a document presented for registration is executed by person having title, as mentioned in the instrument. We agree with that exposition. "4. In our opinion, there was no need for the Appellants to approach the civil Court as the said cancellation deed dated 4.8.2005 as well as registration of the same was wholly void and non est and can be ignored altogether. For illustration, if 'A' transfers a piece of land to 'B' by a registered sale deed, then, if it is not disputed that 'A' had -the title to the land, that title passes to 'B' on the registration of the sale deed (retrospectively from the date of the execution of the same) and 'B' then becomes the owner of the land. If 'A' wants to subsequently get the sale deed cancelled, he has to file a civil suit for cancellation or else he can request 'B' to sell the land back to 'A' but by no stretch of imagination, can a cancellation deed be executed or registered. This is unheard of in law. Provided that the registering officer shall dispense with the execution of cancellation deeds by executant and claimant parties to the previously registered deeds of conveyances on sale before him if the cancellation deed is executed by a Civil Judge or a Government Officer competent to execute Government orders declaring the properties contained in the previously registered conveyance on sale to be Government or Assigned or Endowment lands or properties not register able by any provision of law. A reading of the above rule also supports the observations we have made above. It is only when a sale deed is cancelled by a competent Court that the cancellation deed can be registered and that too after notice to the concerned parties. In this case, neither is there any declaration by a competent Court nor was there any notice to the parties. Hence, this rule also makes it clear that both the cancellation deed as well as registration thereof were wholly void and non est and meaningless transactions." 28. No provision in the State of Madhya Pradesh enactment or the Rules framed under Section 69 of the Act of 1908 has been brought to our notice which is similar to the provision in Rule 26(k)(i) of the Andhra Pradesh Registration Rules framed in exercise of power under Section 69 of the Act of 1908. That being a procedural matter must be expressly provided in the Act or the Rules applicable to the concerned State. In absence of such an express provision, the registration of Extinguishment Deed in question cannot be labelled as fraudulent or nullity in law. As aforesaid, there is nothing in Section 34 of the Act of 1908 which obligates appearance of the other party at the time of presentation of Extinguishment Deed for registration, so as to declare that such registration of document to be null and void. The error of the Registering Officer, if any, must be regarded as error of procedure. Section 87 of the Act of 1908 postulates that nothing done in good faith by the Registering Officer pursuant to the Act, shall be deemed invalid merely by reason of any defect in the procedure. In the present case, the subject Extinguishment Deed was presented by the person duly authorised by the Society and was registered by the Registering Officer. Once the document is registered, it is not open to any Authority, under the Act of 1908 to cancel the registration. The remedy of appeal provided under the Act of 1908, in Part XII, in particular Section 72, is limited to the inaction or refusal by the Registering Officer to register a document. The power conferred on the Registrar by virtue of Section 68 cannot be invoked to cancel the registration of documents already registered. 29. In the dissenting opinion, reference has been made to the decision of the Division Bench of the Madras High Court in the case of E.R. Kalaivan (supra). It was a case where the Registering Officer refused to register the deed of cancellation presented before him on the ground that the cancellation deed was sought to be registered without there being a consent from the purchaser. The aggrieved person approached the Inspector General of Registration who in turn issued a circular dated 5.10.2007 addressed to all the Registering Officers in the State, that the deed of cancellation should bear the signatures of both the vendor and the purchaser. The validity of this circular was challenged by way of Writ Petition before the High Court. In the present case, our attention has neither been invited to any express provision in the Act of 1908, Rules framed by the State of Madhya Pradesh nor any circular issued by the Competent Authority of the State of Madhya Pradesh to the effect that the Extinguishment Deed should bear the signatures of both the vendor and the purchaser and both must be present before the Registering Officer when the document is presented for registration. Absent such an express provision, insistence of presence of both parties to the documents by the Registering Officer, may be a matter of prudence. It cannot undermine the procedure prescribed for registration postulated in the Act of 1908. 30. The moot question in this case is : whether the action of the Society to cancel the allotment of the plot followed by execution of an Extinguishment Deed was a just action? That will have to be considered keeping in mind the provisions of the Act of 1960 and the Bye-laws of the Society which are binding on the members of the Society. The interplay of the provisions of the Contract Act and the Specific Relief Act and of the Co-operative Laws and the Bye Laws of the Society permitting cancellation of allotment of plot or the membership of the concerned member will have to be considered in appropriate proceedings. Whether the decision of the Society to cancel the allotment of plot made in favour of its member is barred by the law of Limitation Act, is again a matter to be tested in the proceedings before the Cooperative Forum where a dispute has been filed by the appellant, if the appellant pursues that contention. 31. In our considered view, the decision in the case of Thota Ganga Laxmi (supra) was dealing with an express provision, as applicable to the State of Andhra Pradesh and in particular with regard to the registration of an Extinguishment Deed. In absence of such an express provision, in other State legislations, the Registering Officer would be governed by the provisions in the Act of 1908. 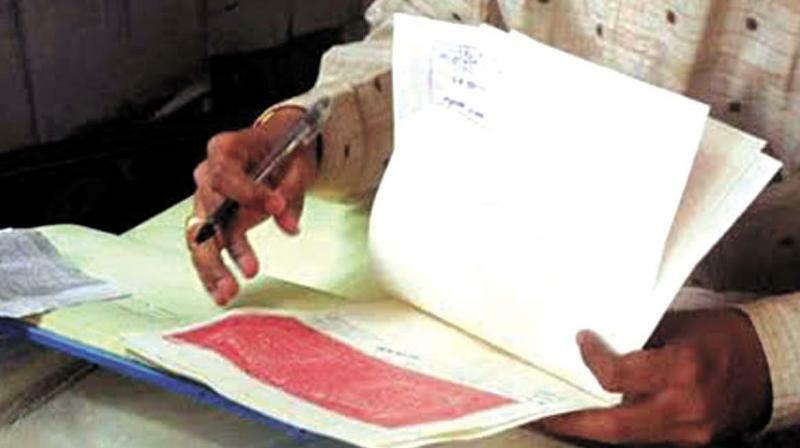 Going by the said provisions, there is nothing to indicate that the Registering Officer is required to undertake a quasi judicial enquiry regarding the veracity of the factual position stated in the document presented for registration or its legality, if the tenor of the document suggests that it requires to be registered. The validity of such registered document can, indeed, be put in issue before a Court of competent jurisdiction. 32. In the present case, the document in question no doubt is termed as an Extinguishment Deed. However, in effect, it is manifestation of the decision of the Society to cancel the allotment of the subject plot given to its member due to non fulfilment of the obligation by the member concerned. The subject document is linked to the decision of the Society to cancel the membership of the allottee of the plot given to him/her by the Housing Society. In other words, it is the decision of the Society, which the Society is entitled to exercise within the frame work of the governing cooperative laws and the Bye-laws which are binding on the members of the Society. The case of Thota Ganga Laxmi (supra), besides the fact that it was dealing with an express provision contained in the Statutory Rule, namely Rule 26 (k)(i) of the Andhra Pradesh Registration Rules 1960, was also not a case of a deed for cancellation of allotment of plot by the Housing Society. But, of a cancellation of the registered sale deed executed between private parties, which was sought to be cancelled unilaterally. Even for the latter reason the exposition in the case of Thota Ganga Laxmi (supra) will have no application to the fact situation of the present case. 33. Taking any view of the matter, therefore, we are of the considered opinion that, the High Court has justly dismissed the writ petition filed by the appellant with liberty to the appellant to pursue statutory remedy resorted to by him under the Act of 1960 or by resorting to any other remedy as may be advised and permissible in law. All questions to be considered in those proceedings will have to be decided on its own merits. 34. Accordingly, we dismiss this appeal in the above terms with no order as to costs. We know how difficult is to make time for writing assignments or completing your reports, especially when you have to meet a particular deadline. That's why we have assignment help service such as macroeconomics assignment help, managerial accounting assignment help for students. Enroll now!